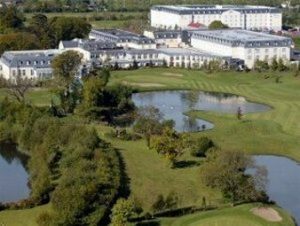 Broadley-James Ltd is pleased to be supporting the BioProduction Congress which will take place on 19th – 20th October 2016 at Citywest Hotel, Dublin. The biopharmaceutical industry has made a capital investment of approximately $8 billion in new facilities in Ireland. With most of this coming in the last 10 years, representing close to the biggest wave of investment in new biotech facilities anywhere in the world. Pre-conference, on the 18th, there will be a choice of 3 workshops and symposiums covering Continuous Manufacturing, Biosimilars and Fill Finish and a site visit to NIBRT will take place in the afternoon. The main conference starts on the 19th with a Plenary Session: Biomanufacturing Facilities of the Future. The conference continues over the 2 days with multiple streams covering all aspects of bioprocessing including; Cell Culture & Upstream Process Development, Continuous Manufacturing, Downstream Processing and Manufacturing Strategy & Technology. Broadley-James Ltd will be exhibiting at the Trade Show and will be showing the new range of Smart Sensors for pH and dissolved oxygen measurement, plus the Biostream range of benchtop bioreactors, Flownamics auto sampling systems, PendoTECH downstream TFF and Filter Screening systems and HPNE Single Use Tube Assemblies. More information on the Bioproduction Congress can be found here.